I’ve spent a lot of time on the couch in 2017 recovering from blood clots. 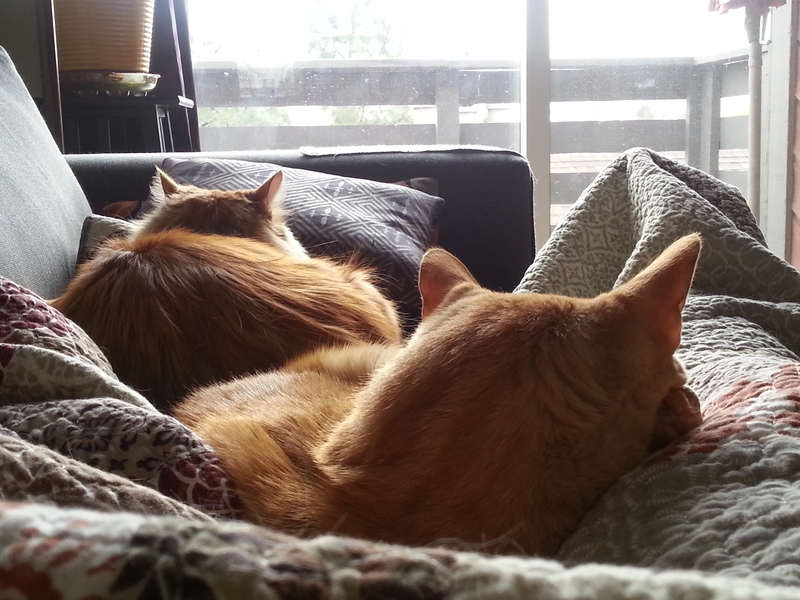 Not only do I have compression hose, but I have compression cats. And in a RARE MOMENT, Tigger assumes dominance. 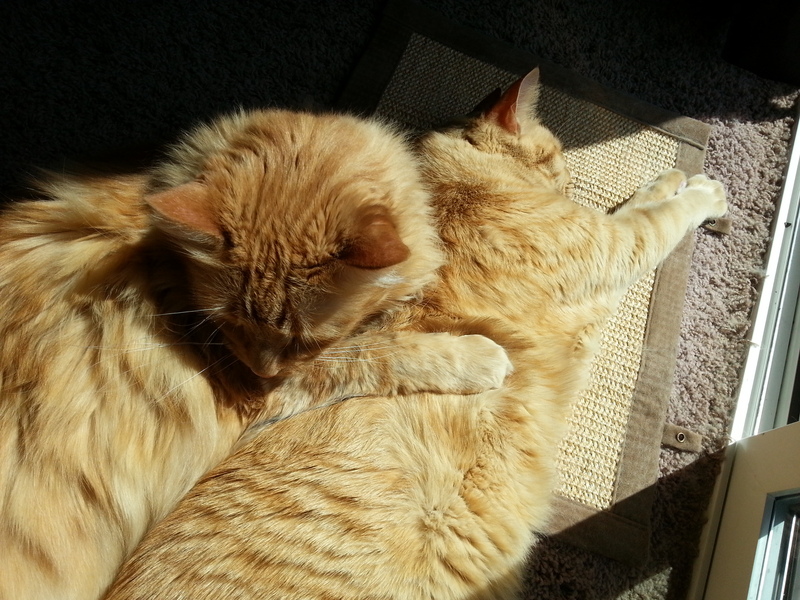 99% of the time, it’s the other way around – and Simba is laying on Tigger. Because we all know fluffy cats make the best pillows.